Momentum | Frank Steiner, Jr. 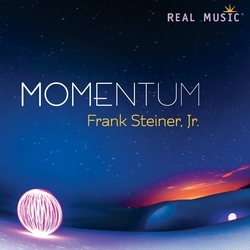 Momentum - Frank Steiner, Jr.
Exotically shamanic, softly jazzy, rhythmically expressive - all given voice by this master of global musical genres. With some pieces solo piano, some lightly orchestrated, others gently tribal with accompanying world percussion, Frank Steiner, Jr. has created a work capturing the power of movement. We are pleased to make you discover it on Radio PLENITUDE, every day, from july 3 until july 16, before it enters in a regular programming.